The Sumo Brothers, Tony Allen, Mory Kantã©, Shina Williams & His African Percussionists, Bunny Mack and more. This show was 38th in the global disco chart and 44th in the global funk chart. 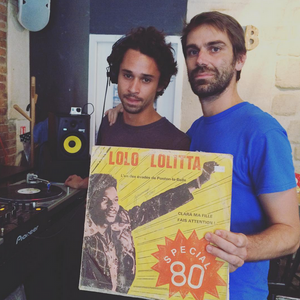 On les avait déjà reçus lors de Pardonnez-nous Takeover en juin dernier, le collectif Dis&apos;collection revient avec ses gros sacs à vinyles pour une session de 1h30 entre musiques africaines, disco, funk, etc. Solid selection of grooves ! @15 min great track like a funkier William Oneyabor tune ! Merci messieurs !